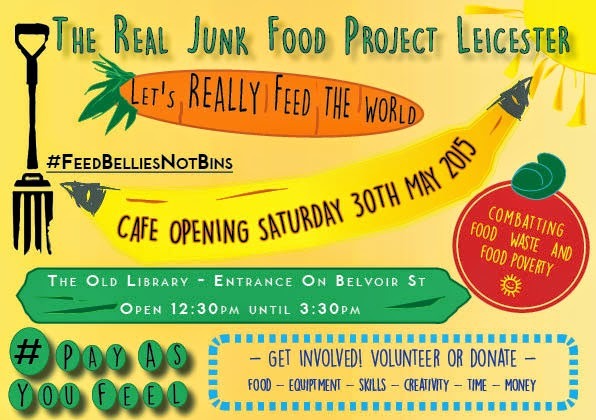 It was a pleasure to meet Alison and Bobby from The Real Junk Food Project’s Leicester branch the other day for a catch up about the good work they are spearheading in the city. Their cafe will be opening at the Old Library on 30th May providing hot food for all on a pay as you feel basis, so get yourself down there! 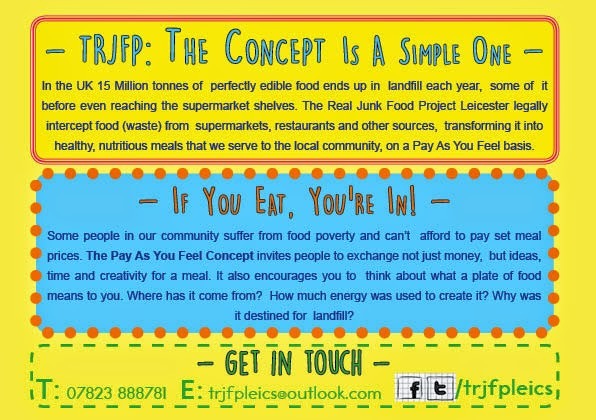 The idea behind the project is to ‘intercept’ food that would otherwise go to landfill, from restaurants, shops, distribution sites and so forth. An incredible amount of perfectly edible food is thrown away every day in this country. If the handle is broken on a six pack of water bottles, all of them become unsaleable as a multipack and are thrown away. Food banks have strict rules on what can be distributed to families in need, so catering sized packs and so forth are useless to them. The RJFP intercepted a bunch of regular sized packs of pasta and were able to swap them for 3kg packs from a Food Bank that would otherwise have not been able to use them. Everyone wins. They are all food safety trained and will be providing fresh cooked food to everyone. Pay as you feel means that you can donate whatever you can afford. If you are able to contribute cash, this will help to support the utility costs associated with making the food. If you don’t have any money to spare, why not pay with your other talents – there will be a busker’s corner if you can play an instrument or you could even exchange an artwork or sketch for a meal. Whatever you can contribute they will accept. 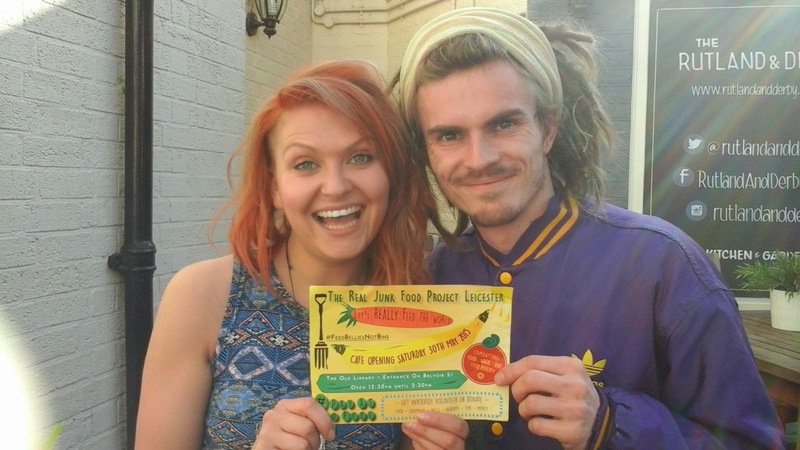 As well as creating a cafe which intercepts food that would otherwise have been wasted, the RJFP will be continuing to ensure that they redistribute food to the homeless and people in need and they are aiming to build a new sense of community in the city, where everyone is equal in their value and entitlement to eat something fresh and delicious. So how can we do anything but support this fabulous venture and watch it grow and develop over the months and years to come. Local businesses – get in touch with the RJFP Leicester and let them know if you have food to donate that would otherwise be wasted.